Christened President Emmerson Mnangagwa's "secret weapon" during the 2018 electioneering, her messages and deeds resonated well with a significant percentage of the "silent vote" – the people that do not come to rallies. However, to her, it was not about votes but uplifting society as she had been in this line of work for some time. To the uplifted, she came across as a person conscious about social problems such as child marriages and cervical cancer and how they could be mitigated – the personification of the softer side of politics, a Fist Lady. 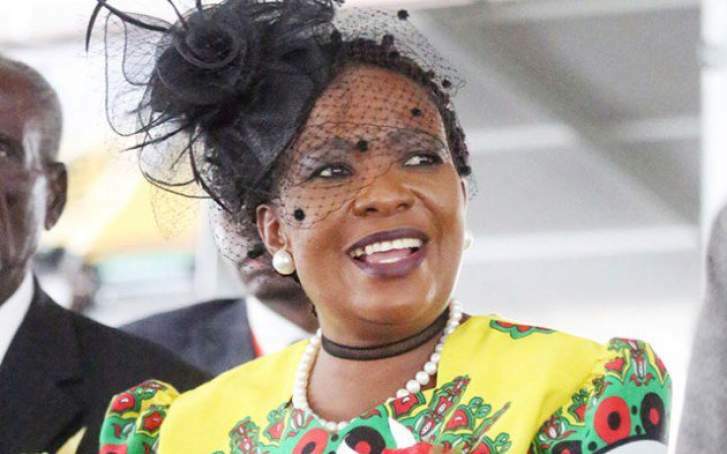 It is fact that Amai Auxillia Mnangagwa, added value to her husband's presidential bid through charity initiatives such as the Angel of Hope Foundation, in the process raising the ire of the country's detractors. Since then, Amai Mnangagwa has been defamed in a bid to trash her social standing which has proved to be an asset to ZANU PF. It is in this contest that online media was recently awash with a cocktail of unconfirmed allegations against the First Lady, chief amongst them being the unprocedural dismissal of state house workers. Inasmuch as the online publication rightly pointed out that State House workers were Government employees who could not be unilaterally fired by the First lady, the authors of the story did not bother to check with the relevant Government Ministry or Department to authenticate their story. They telephoned the Presidential Spokesperson, George Charamba knowing fully that he could not comment on matters involving civil servants or the First Lady as none is in the Presidium. Beyond the firing of workers, the publication made another ridiculous allegation that sometime in December 2018 an anonymous male intelligence officer was forced by the First Lady to pull down his trousers in a bid to humiliate him. The publication quotes an anonymous source rhetorically questioning, "what would you do if you have been told to do something by the country's owner?" – Really? The publication goes on to claim that they were protecting the name of the officer by withholding his name. Question is – in the event that the incident actually happened, taking into consideration that only one officer was forced to pull down his trousers, how then does withholding his name protect his identity when everyone privy to the incident already know the officer's name? Secondly, is it possible that a trained officer can pull down his trousers in front of the First Lady, even when commanded to do so, without checking more than twice if such an unethical order is true? The publication's anonymous source went on to claim that another anonymous officer was recently smashed in the head with a tray by the First Lady simply because he was holding a newspaper with Robert Mugabe's name on the headline. This allegation defies logic because firstly, smashing the head of a newspaper bearer does not change what is printed on it. Secondly, it is logical for the First Lady of Amai Mnangagwa's caliber to immense herself in every newspaper article so that she is better informed about the world she intends to uplift and able to better manage her image which has left the country's detractors green with envy. The publication further alleged that when her husband became president, Amai Mnangagwa, moved to burn down furniture worth over $2 million. There is no mention of the date or venue this could have taken place. Journalists worth their salt would have such questions and knowing how important such minor details were, they could have gone to indicate that they probed but such information was not available. The fact that all the above allegations were not verified, even on instances where it was possible, brings out the real intentions of the authors - soiling a charitable soul in a bid to give the country's detractors political mileage. Amai Mnangagwa won't be deterred by such smear-campaigns and she will continue with her charitable work for the upliftment of the less fortunate in our society.